Hamsters can be the perfect pets when you dont have a lot of space. This all-in-one guide will help readers become responsible pet owners. A multiple-choice quiz at the end of this volume will allow readers to test their new knowledge. K-Gr 4-Presented in an easy-to-read style, these volumes are filled with information. Each one describes a popular pet; its needs; how to choose an animal; and how to prepare for its care, feeding, and growth. The books also explain how to handle animals properly and help them stay clean and healthy. Plenty of great color photographs and cartoon-style drawings illustrate the texts. The design is bright and cheerful. Text boxes pose questions that students might ask, such as "Can I play with my hamster in the day?" or "Should I give my rabbit granola?" and then provide answers. There are lots of fact boxes. Neutering is discussed as the duty of responsible pet owners, but it's explained with basic facts. Each book ends with back matter and a short quiz. 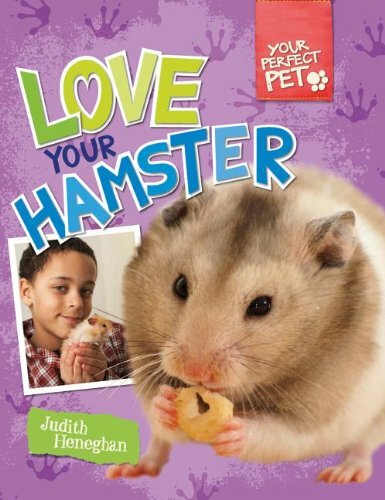 These books are must-reads for any child before choosing a pet.-Cynde Suite, Bartow County Library System, Adairsville, GAα(c) Copyright 2013. Library Journals LLC, a wholly owned subsidiary of Media Source, Inc. No redistribution permitted.